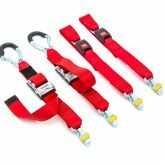 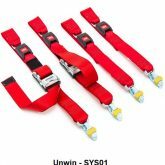 The four-point webbing restraint systems are a simple yet effective method to secure wheelchairs during transport. 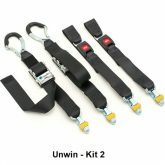 The two front straps are fitted with a tongue & buckle to facilitate operation – The two rear straps are fully adjustable due to the simple over-centre buckle mechanism which can be easily tensioned for maximum security. 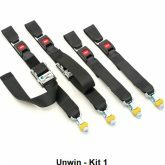 The rear straps are fitted with a choice of karabiner or tongue & buckle, providing a wider choice of wheelchair restraint options. 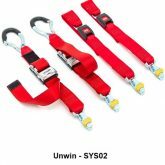 An additional occupant passenger restraint is required for the wheelchair occupant.